With more than decade under its belt, the 11th Annual North Willamette Wine Trail has secured its place as Oregon’s best spring wine event (in our humble opinion). Happening this weekend (April 13-14), the trail is about the wine—yes, surely—but it’s also about all the things that go with it. There are the spectacular views, thoughtful farming practices, delicious food pairings from local makers and the deep-rooted community that this all creates. It’s time to branch out—or should we say vine out? You don’t have to be in-the-know for the wine trail. In fact, come with an open mind (and an open nose) for new-to-you wines. Over the course of two days, you’ll have access to 18 wineries for the cost of roughly four tastings. It’s a great deal, but it’s also just a great excuse to get out of your wine comfort zone. As adults, we sometimes bypass the simple pleasures of spring break. 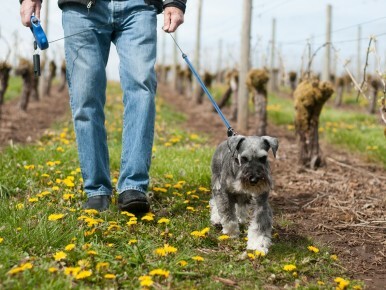 So, create your own as the wineries near the exciting “bud break” season. Bud break is when delicate flowers and leaves begin to pop up on wineries’ vines, bringing us one important step closer to this year’s crop of grapes. Beyond the requisite souvenir glass, Wine Trail-goers will receive a “Wine Trail Kit,” with a custom wine class, and unique collectible buttons at each winery stop. 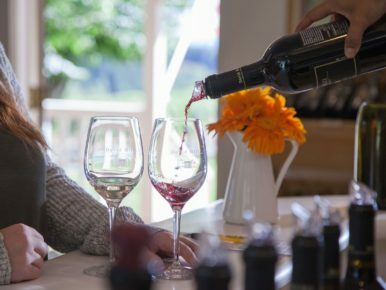 Wine tasting in Tualatin Valley is about embracing the leisurely pace of a spring afternoon. So, don’t’ rush it. For your safety and general enjoyment, there is a designated driver ticket option that includes two tasting passes to use at a later date. 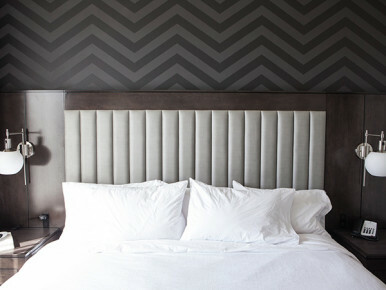 Stay in Tualatin Valley wine country during the North Willamette Wine Trail Weekend. 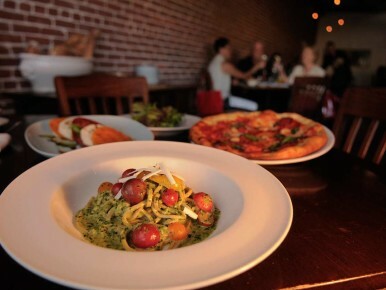 After exploring the North Willamette Valley wine country, enjoy dinner at one of our acclaimed restaurants. 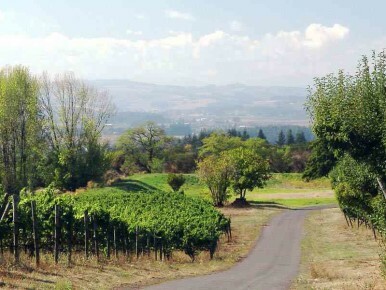 Plan which wineries to visit during the North Willamette Wine Trail Weekend. With Earth Day weekend coming up, your environmental efforts don’t have to be put on pause when you’re traveling. 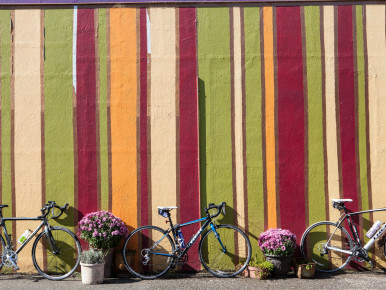 One of the best ways to see the rolling hills of the northern Willamette Valley is from the seat of your own bicycle. For planning out each day, look no further than a round up of North Willamette Wine Trail Loops. Each loop has a true diversity in winery experiences.